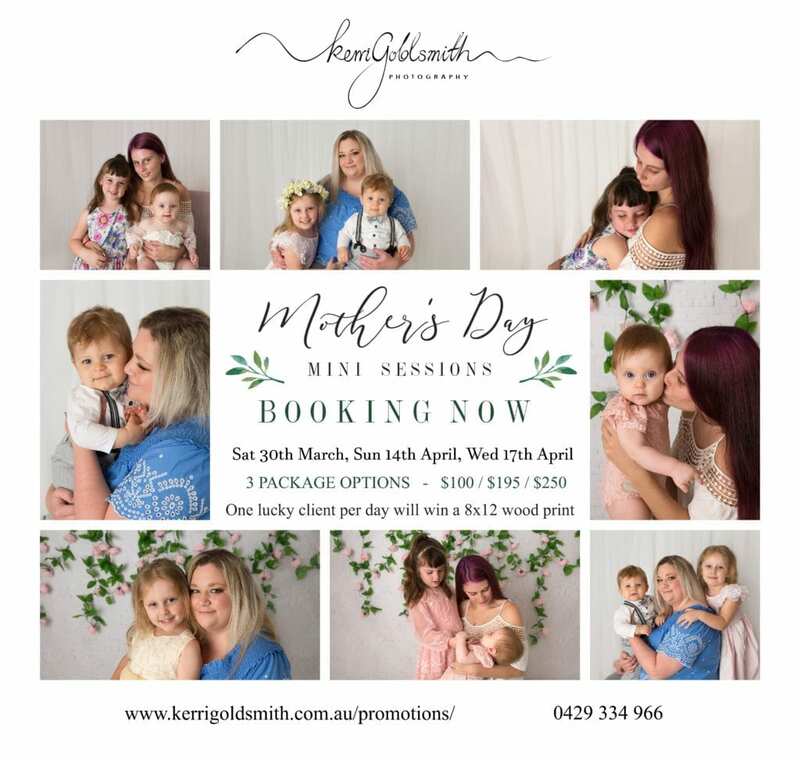 As a Mother we all need to capture special memories with our children & our own Mothers and Grandmothers so there is no better time than now to celebrate Mother’s Day coming soon. There is nothing more precious than being able to look back on photos as our children grow and we all grow older. Deposit $50.00 required within 2 days of booking to secure or your booking time will be offered to someone else. Package 2 & 3 – one client per date will WIN an additional 8×12″ wood print.